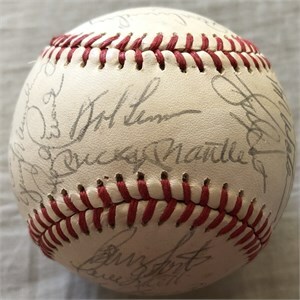 Official Rawlings American League Lee MacPhail model baseball autographed in ballpoint by the 1982 New York Yankees at spring training including Hall of Famers Mickey Mantle (died 1995) and Whitey Ford on the sweet spot; Hall of Famer Jim (Catfish) Hunter (died 1999); coaches Joe Altobelli, Yogi Berra, Jeff Torborg, Mickey Vernon, Jim Hegan, Sammy Ellis and Jerry Walker; plus then current players Goose Gossage, Ron Guidry, Rudy May, Rick Cerone, Barry Foote, Steve Balboni, Bucky Dent, Graig Nettles, Dave Revering, Bob Watson, Scott Bradley, Dave Collins, Ken Griffey, Jerry Mumphrey, Lou Piniella and Rick Reuschel (did not pitch in the majors that season). 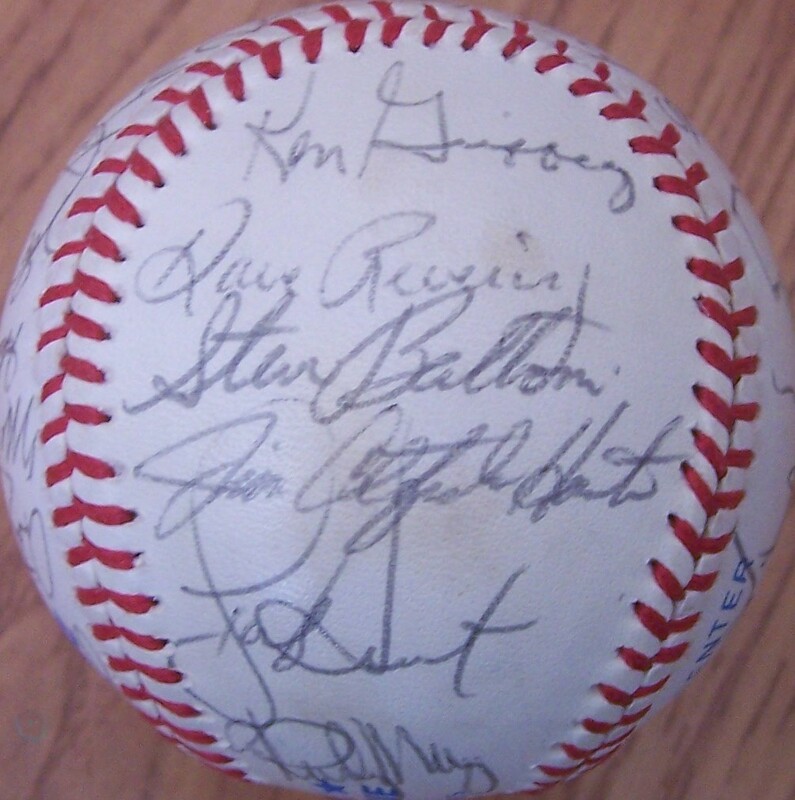 The ball is also signed by four players traded during spring training (Ron Davis, Andy McGaffigan, Brad Gulden and Bobby Brown) plus one unidentified player or coach for a total of 31 signatures. 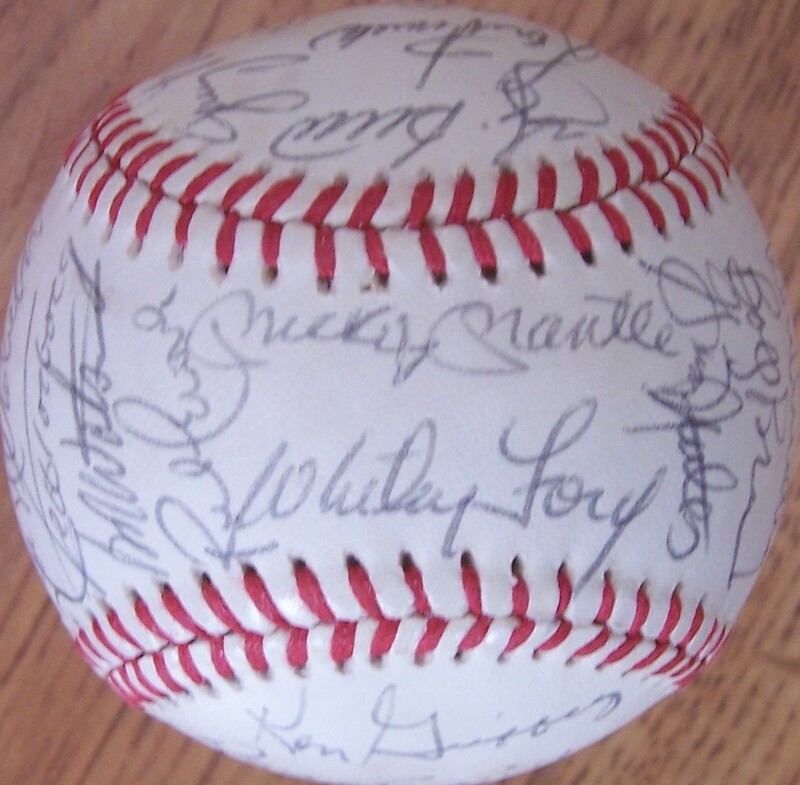 Has typical age discoloration and moderate fading. 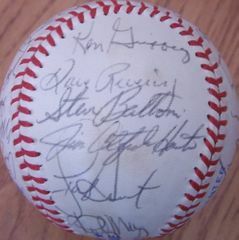 Obtained from the collection of the late Catfish Hunter, with letter of authenticity from his son Paul and certificate of authenticity from AutographsForSale.com. ONLY ONE AVAILABLE FOR SALE.